Feeling cold or hungry? This is the most suitable season for hotpot. Treat your taste buds to a variety of hotpots at these fantastic restaurants! The classic Taiwanese style hot and spicy soup will warm you up in this season! Offer is only valid for items from the à la carte menu. Beverages and seafood items are not included. Charge for Chinese tea and condiments applies. 10% service charge on original price applies. This offer cannot be used in conjunction with Chope vouchers, other discounts, promotional offers, or promotional menus. In case of any disputes, Taiwanese Hot Pot (Tsim Sha Tsui) reserves the right to make the final decision. Enjoy Mala hotpots, healthy ingredients, Taiwan-imported handmade beer and desserts for a real hotpot feast! In case of any disputes, Taiwanese Hot Pot (Causeway Bay) reserves the right to make the final decision. Don't miss out on the chance to try hotpots and Cantonese-style dishes at this Michelin-awarded restaurant. 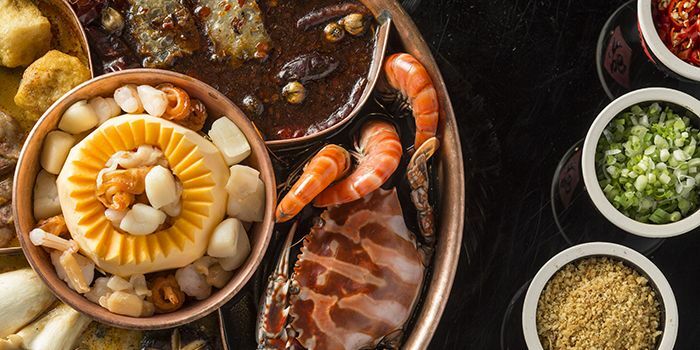 Enjoy 20% off Surf & Turf Personal Hot Pot Set Menu from 3rd March 2019 to 17th April 2019! Please use the promo code SURFNTURF when making your reservation to redeem this offer. Offer is only valid to the Surf & Turf Personal Hot Pot Set Menu. Offer is available during Sunday to Wednesday, lunch and dinner periods, from 3rd March to 17th April 2019. Offer is only valid for dine-in reservations (except private room dining). To enjoy the offer, reservations must be made via the Chope app or website with the promo code SURFNTURF. Diner is required to inform restaurant staff at the time of reservation and when redeeming this offer. The offer cannot be used in conjunction with any other special offers. 10% service charge based on the original price applies. The offer is not cash redeemable. Megan’s Kitchen reserves the right to amend the terms and conditions without prior notice. In case of any disputes, Megan’s Kitchen reserves the right to make the final decision. Mix-and-match from a selection of specialty hotpots like Drunken Chicken and Spicy Sichuan! Pre-purchase Chope Vouchers for The Drunken Pot (Causeway Bay) and get 10% off! Delight in some Medicinal Chicken with Fish Maw, spicy Szechuan and the signature five-in-one ‘Drunken Pot’! Pre-purchase Chope Vouchers for The Drunken Pot (Tsim Sha Tsui) and get 10% off! Craving for seafood? Try the Hokkaido Snow Crab Hotpot! Beef lovers must go for the Sukiyaki. 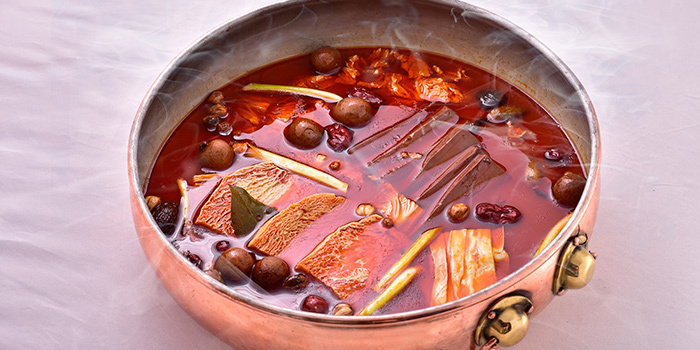 Serving premium Chinese hotpots like the Chef’s Special Fried Mutton Hotpot in Sichuan Style. Chilly days are the best with comforting soups like the Black Chicken Broth and Pig Lung Soup with Almonds. Combining music with hot pot, this trendy Jordan place is a sensorial feast. Indulge in a plethora of reliably delicious dim sum classics and hot pot selections. Try fresh ingredients like the hand-cut Prime Grade Angus Beef at this Taiwanese-style hotpot. 101 turns traditional hotpot on its head with an innovative 8-course dinner! Warm up from the inside-out with hot pot soups and Angus beef. Snap up a smorgasbord of seafood offerings like the Fresh Lobster with Seafood Chowder. Get the best of both worlds with Chongqing hot pot and Chengdu spicy skewers. Gather your friends and family for some legendary Sichuan Hot Pot.